2017 “Native American Basketry from the Multicultural South: Craft, Labor, and Heritage” In Rooted, Revised, Revisited: Basketry in America. Kristin A. Schwain and Josephine Stealey, editors. Pp. 31-39. Atglen, PA: Schiffer Publishing. 2017 (with Marsha MacDowell) “Museums and Ethnography in the Digital Age.” In Folklife and Museums: 21st Century Perspectives. Patricia Hall, Charlie Seemann, and C. Kurt Dewhurst, editors. Pp. 305-318. Lanham, MD: Rowman and Littlefield. 2016 Material Vernaculars: Objects, Images, and Their Social Worlds. 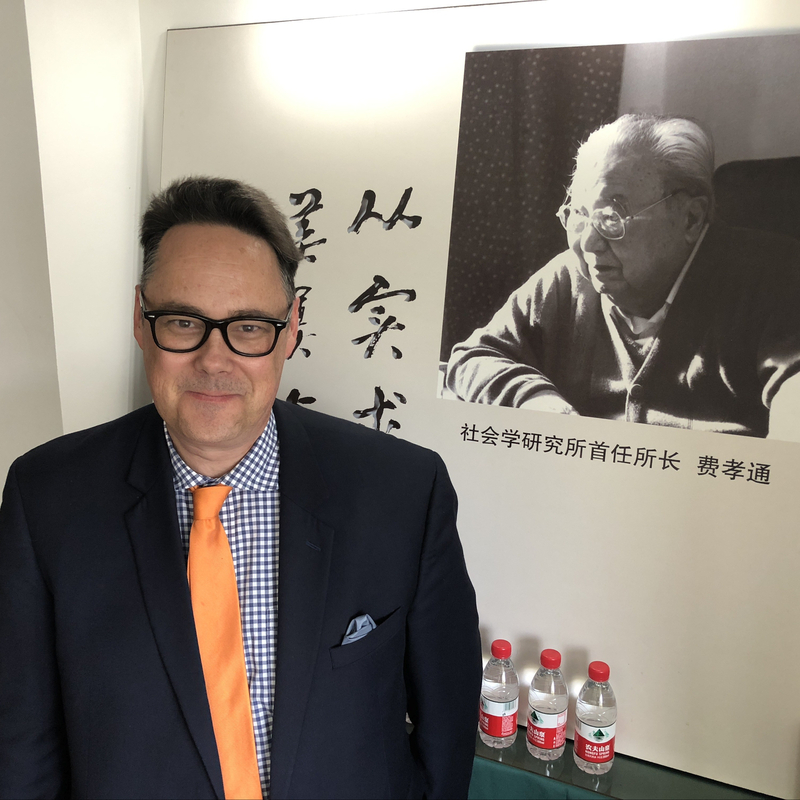 Jason Baird Jackson, editor. Bloomington: Indiana University Press. 2015 (with Amy Carattini) “Interconnections: Folklore Studies and Anthropology at the Mathers Museum of World Cultures.” Practicing Anthropology. 37(3):20-23. 2015 “Split-Cane Basket. In North American Indian Art: Masterpieces and Museum Collections in the Netherlands. Pieter Hovens and Bruce Bernstein, editors. Pp. 130-131. Altenstadt, Germany: ZKF Publishers. 2015 “A Beaded Men’s Shoulder Bag from Southeastern North America. In North American Indian Art: Masterpieces and Museum Collections in the Netherlands. Pieter Hovens and Bruce Bernstein, editors. Pp.118-119. Altenstadt, Germany: ZKF Publishers. 2014 (with Ryan Anderson) “Anthropology and Open Access.” Cultural Anthropology 29(2):236-263. 2014 “Seminole Histories of the Calusa: Dance, Narrative, and Historical Consciousness.” Native South 7 (1): 122–42. 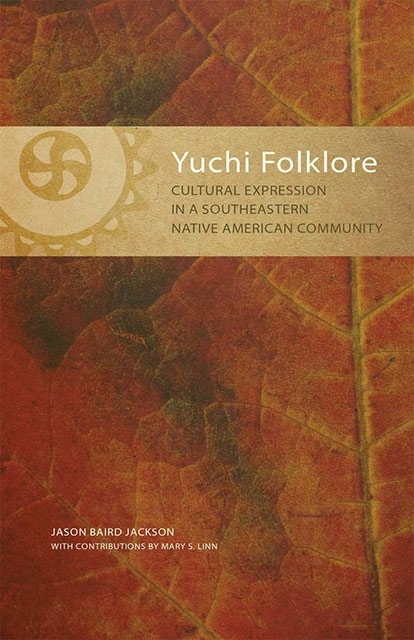 2013 Yuchi Folklore: Cultural Expression in a Southeastern Native American Community. Norman: University of Oklahoma Press. 2013 “What Can We Make of James Adair’s “feast of love?” Contextualizing a Native American Ceremonial from the Lower Mississippi Valley, ca. 1765.” In Transforming Ethnohistories: Narrative, Meaning, and Community. Sebastian Braun, editor. Pp. 80-96. Norman: University of Oklahoma Press. 2011 “Picturing Traditional Culture: Heritage as Subject and Motivation in the Work of Three Muscogee (Creek) Painters.” American Indian Art Magazine. 37(1):64-73. 2010 “The Southeast.” In The Berg Encyclopedia of World Dress and Fashion. Volume 3. The United States and Canada. Joanne B. Eicher, editor. Pp. 457-466. Oxford: Berg. 2010 “The Southeast.” In Berg Fashion Library. Oxford: Berg. http://www.bergfashionlibrary.com. 2009 “Expression of Concern.” Museum Anthropology. 32(1):33-38. 2008 “Traditionalization in Ceremonial Ground Oratory: Native American Speechmaking in Eastern Oklahoma.” Midwestern Folklore. 34(2):3-16. 2008 “From the Editor of Museum Anthropology.” American Anthropologist. 110(4):414-415. 2007 “Museum Anthropology Online.” Museum Anthropology. 30(1):1-2. 2006 “Museum Anthropology Weblog Now Online.” Anthropology News. 47(8):51. 2006 “Toothache Medicine: A Customary Use of Pale Purple Coneflower (Echinacea pallida (Nutt.) Nutt.) among the Yuchi in Eastern Oklahoma, USA.” Economic Botany. 60:386-388. 2005 “Museum Anthropology: Editorial Vision.” Anthropology News. 46(9):50-51. 2004 (with Greg Urban) “Mythology and Folklore.” In Handbook of North American Indians. Volume 14. Southeast. Raymond D. Fogelson, editor. Pp. 707-719. Washington: Smithsonian Institution. 2004 (with Greg Urban) “Social Organization.” In Handbook of North American Indians. Volume 14. Southeast. Raymond D. Fogelson, editor. Pp. 697-706. Washington: Smithsonian Institution. 2004 (with Gregory A. Waselkov) “Exchange and Interaction Since AD 1500.” In Handbook of North American Indians. Volume 14. Southeast. Raymond D. Fogelson, editor. Pp. 686-696. Washington: Smithsonian Institution. 2004 (with Patricia Galloway) “Natchez and Related Groups.” In Handbook of North American Indians. Volume 14. Southeast. Raymond D. Fogelson, editor. Pp. 598-615. Washington: Smithsonian Institution. 2004 “Yuchi.” In Handbook of North American Indians. Volume 14. Southeast. Raymond D. Fogelson, editor. Pp. 415-428. Washington: Smithsonian Institution. 2004 (with Raymond J. DeMallie) “Tutelo and Neighboring Groups.” In Handbook of North American Indians. Volume 14. Southeast. Raymond D. Fogelson, editor. Pp. 286-300. Washington: Smithsonian Institution. 2004 (with Raymond D. Fogelson and William C. Sturtevant) “History of Ethnological and Linguistic Research.” In Handbook of North American Indians. Volume 14. Southeast. Raymond D. Fogelson, editor. Pp. 31-47. Washington: Smithsonian Institution. 2004 (with Raymond D. Fogelson) “Introduction.” In Handbook of North American Indians. Volume 14. Southeast. Raymond D. Fogelson, editor. Pp. 1-13. Washington: Smithsonian Institution. 2004 (with Frederic W. Gleach) “William C. Sturtevant.” In Biographical Dictionary of Social and Cultural Anthropology. Vered Amit, editor. Pp. 497-498. New York: Routledge. 2004 “Recontextualizing Revitalization: Cosmology and Cultural Stability in the Adoption of Peyotism among the Yuchi.” In Reassessing Revitalization: Perspectives from North America and the Pacific Islands. Michael Harkin, editor. Pp. 183-205. Lincoln: University of Nebraska Press. 2003 “Green Corn Ceremonies: A Summertime Thanksgiving.” Cobblestone. 24(7):38-41. 2003 “The Opposite of Powwow: Ignoring and Incorporating the Intertribal War Dance in the Oklahoma Stomp Dance Community.” Plains Anthropologist. 48:237-253. 2003 (with Patricia Galloway) “Noticias a las Aldeas se Quise Componen las Naciones Chaitas, Chicachais y Alibamon.” [An essay annotating and contextualizing a Spanish language colonial document.] In Louisiana Purchase/La Cession de la Louisiane: A History in Maps, Images and Documents on CR-ROM. Sylvia Frey, editor. Baton Rouge: Louisiana State University Press. 2003 Yuchi Ceremonial Life: Performance, Meaning and Tradition in a Contemporary American Indian Community. 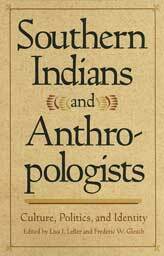 Studies in the Anthropology of North American Indians. Lincoln: University of Nebraska Press. 2002 “Gender Reciprocity and Ritual Speech among the Yuchi.” In Southern Indians and Anthropologists: Culture, Politics, and Identity. Southern Anthropological Society Proceedings, No. 35. Lisa Lefler and Frederic W. Gleach, editors. Pp. 89-106. Athens: University of Georgia Press. 2002 “William C. Sturtevant.” In Celebrating a Century: The Presidents of the American Anthropological Association. Regna Darnell and Fredrick W. Gleach, editors. Pp. 257-260. Lincoln: University of Nebraska Press. 2002 “Yuchi.” In Encyclopedia of World Cultures Supplement. Melvin Ember, Carol R. Ember and Ian Skoggard, editors. Pp. 386-389. New York: Macmillan. 2002 (with Victoria Levine) “Singing for Garfish: Music and Community Life in Eastern Oklahoma.” Ethnomusicology. 46:284-306. 2000 “Customary Uses of Ironweed (Vernonia fasciculata) by the Yuchi in Eastern Oklahoma, USA.” Economic Botany. 54:401-403. 2000 “Signaling the Creator: Indian Football as Ritual Performance among the Yuchi and their Neighbors.” Southern Folklore. 57:33-64. 2000 (with Mary S. Linn) “Calling in the Members: Linguistic Form and Cultural Context in a Yuchi Ritual Speech Genre.” Anthropological Linguistics. 42:61-80. 2000 “Southeastern Indian Basketry in the Gilcrease Museum Collection.” American Indian Art Magazine. 25(4):46-55. 2000 “Things Never Seen Before: Reuniting Museum Collections and Communities.” la Tertulia. 16(1):1, 3. 2000 “Containers of Tradition: Southeastern Indian Basketry.” Gilcrease Journal. 7(2):5-25. 1999 “Of Bears and Rabbits: Animals in Traditional Native American Art and Literature.” Gilcrease Journal. 6(2):16-29. 1999 “Linguistic Anthropology as (Relevant) Museum Anthropology.” Anthropology Newsletter. 40(5):16-17. 1999 “Indians and Scholars Join Forces to Document the Dance Music of Oklahoma’s Yuchi Tribe.” Folklife Center News. 21(2):3-6, 16. 1999 “Ritual and Cultural Revitalization.” In Interpreting Cultures: Essays Celebrating the 25th Anniversary of the Publication of Clifford Geertz’ ‘The Interpretation of Cultures’. Mindy J. Morgan and Paula Wagoner, editors with an afterword by Clifford Geertz. Pp. 28-35. Bloomington: Department of Anthropology, Indiana University. 1998 “Architecture and Hospitality: Ceremonial Ground Camps and Foodways of the Yuchi Indians.” The Chronicles of Oklahoma. 76:172-189. 1998 “Dressing for the Dance: Yuchi Ceremonial Clothing.” American Indian Art Magazine. 23(3):32-41. 1997 “Yuchi.” In Encyclopedia of Vernacular Architecture of the World. Paul Oliver, editor. Pp. 1895. Cambridge UK: Cambridge University Press. 1997 “Square Ground.” In Encyclopedia of Vernacular Architecture of the World. Paul Oliver, editor. Pp. 744-745. Cambridge, UK: Cambridge University Press. 1997 “Menomini.” In Encyclopedia of Vernacular Architecture of the World. Paul Oliver, editor. Pp. 1862-1863. Cambridge, UK: Cambridge University Press. 1997 “The Work of Tradition in Yuchi Oratory.” The Florida Anthropologist. 50:197-202. 1997 “Introduction: The Cultures of Language in Southeastern Native America.” The Florida Anthropologist. 50:179-181. 1997 “Making Faces: Eastern Cherokee Booger Masks.” Gilcrease Journal. 5(2):50-61. 1996 “‘Everybody has a part, even the little bitty ones’: Notes on the Social Organization of Yuchi Ceremonialism.” The Florida Anthropologist. 49:121-130. 1992 “Stylistic Differences in the Southeastern Man’s Long Shirt and Ethnic Identity in the Pre-Removal and Removal Period.” Florida Journal of Anthropology. 17:55-58.